The Beatles began recording the White Album on 30 May 1968, shortly after Apple Records was set up. The first song to be attempted was Revolution 1, at the time just known as Revolution. Recording continued througout the summer of 1968. re held at Trident Studios. The Beatles also recorded the single Hey Jude/Revolution in July 1968, although neither song was ever considered for inclusion on the album. 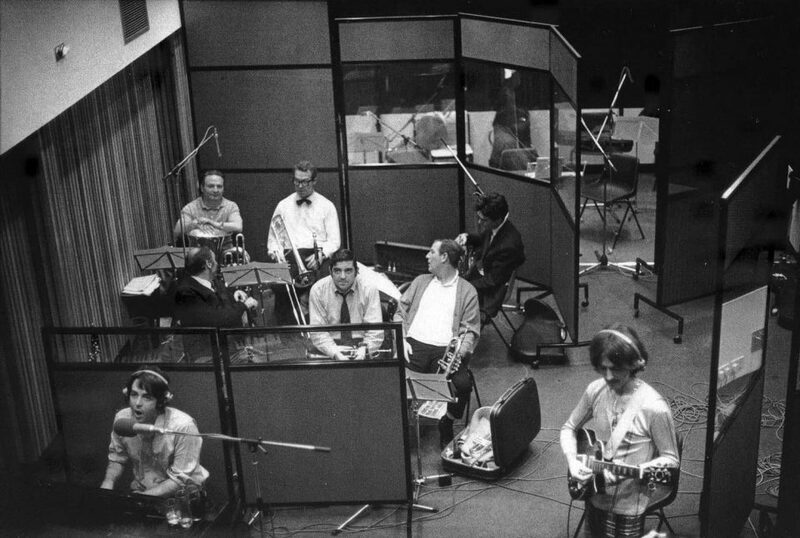 Although the early sessions were harmonious, with The Beatles working together to make the best of each others' compositions, by the third month tensions began to rise. While recording the album, the group was in the process of launching the multimedia business Apple Corps, while coping with various upheavals including drug busts, changing relationships and substance abuse. While not all of the White Album recording sessions were strained, there were frequent conflicts and disagreements within the group. The authority of George Martin, who had closely steered The Beatles during their formative years, began to wane during the sessions, and he was still much in demand by other recording artists. At one point Martin spontaneously left to go on holiday, leaving his assistant Chris Thomas to produce the group. Often The Beatles found themselves essentially working alone with EMI's engineers. For the first time I had to split myself three ways because at any one time we were recording in different studios. It became very fragmented, and that was where my assistant Chris Thomas did a lot of work, which made him into a very good producer. On 16 July the group's engineer Geoff Emerick, who had played a key role in developing The Beatles' recordings since Revolver, quit the sessions, announcing that he was no longer willing to work with the group. With no-one taking overall control, the sessions often drifted without direction, with The Beatles recording numerous takes in an attempt to find inspiration. Among these was a 27-minute version of Helter Skelter which since became the source of much conjecture among eager Beatles scholars. Another song, George Harrison's Not Guilty, had more than 100 takes before it was abandoned; it remained unreleased until Anthology 3 in 1996. Many of the songs were recorded as mostly solo efforts, with different Beatles occupying separate studios at the same time. Paul McCartney became used to working alone, although since Sgt Pepper he had taken a dominant role in recordings and was often happy to work on ideas without the rest of the group. I remember having three studios operating at the same time: Paul was doing some overdubs in one, John was in another and I was recording some horns or something in a third. Maybe it was because EMI had set a release date and time was running out. On the White Album McCartney's Wild Honey Pie, Mother Nature's Son and Blackbird were all recorded without the other Beatles, and Why Don't We Do It In The Road? was a spontaneous recording produced by McCartney and recorded with a little help from Ringo Starr. Paul was downstairs going through the arrangement with George [Martin] and the brass players. Everything was great, everyone was in great spirits. Suddenly, half way through, John and Ringo walked in and you could cut the atmosphere with a knife. An instant change. It was like that for ten minutes and then as soon as they left it felt great again. It was very bizarre. Two days later Starr walked out of the band. Although he rejoined within a fortnight, for a while it was intended as a permanent departure. The Beatles recorded Back In The USSR and Dear Prudence without him. I left because I felt two things: I felt I wasn't playing great, and I also felt that the other three were really happy and I was an outsider... I had a rest and the holiday was great. I knew we were all in a messed-up stage. It wasn't just me; the whole thing was going down. I had definitely left, I couldn't take it any more. There was no magic and the relationships were terrible. I'd come to a bad spot in life. It could have been paranoia, but I just didn't feel good – I felt like an outsider. But then I realised that we were all feeling like outsiders, and it just needed me to go around knocking to bring it to a head. I got a telegram saying, 'You're the best rock'n'roll drummer in the world. Come on home, we love you.' And so I came back. We all needed that little shake-up. When I got back to the studio I found George had had it decked out with flowers – there were flowers everywhere. I felt good about myself again, we'd got through that little crisis and it was great. And then the 'White' album really took off – we all left the studio and went to a little room so there was no separation and lots of group activity going down. 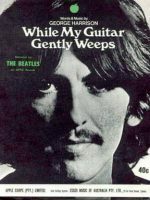 On 6 September 1968, three days after Starr rejoined the group, Eric Clapton performed his much-admired solo on George Harrison's While My Guitar Gently Weeps. As Harrison later said, Clapton's presence in the studio "made them all try a bit harder; they were all on their best behaviour". The trick was repeated the following year, when Harrison invited Billy Preston to the Get Back/Let It Be sessions at a time when relations within The Beatles reached another low. In addition to Clapton's contribution, Nicky Hopkins provided piano to a several songs. The White Album also featured a range of other session musicians, including horn sections on Revolution 1, Savoy Truffle and Mother Nature's Son, bluegrass fiddle on Don't Pass Me By, and a full orchestra and backing singers on Good Night. Shortly before he died, John Lennon recalled the session for Why Don't We Do It In The Road?, saying he would have liked to have contributed to the song, which featured just McCartney and Starr. That's Paul. He even recorded it by himself in another room. That's how it was getting in those days. We came in and he'd made the whole record. Him drumming. Him playing the piano. Him singing. But he couldn't – he couldn't – maybe he couldn't make the break from the Beatles. I don't know what it was, you know. I enjoyed the track. Still, I can't speak for George, but I was always hurt when Paul would knock something off without involving us. But that's just the way it was then. The Beatles finished recording the White Album on 14 October 1968, with mixing sessions and tape copying continuing until 18 October. On 16 and 17 October the group had their only 24-hour session, in which they commandeered Abbey Road's studios one, two and three, as well as rooms 41 and 42, for final touches including crossfades and edits. I remember arriving at the studios on Thursday 17 October 1968, 9am, to find The Beatles still there. They had been there all night, finalising the master tapes for what we now call the White Album and banding it up. They were all over the place, room 41, the front listening room – anywhere – almost every room they could get. It was a frantic last minute job. The Beatles attempted to follow George Martin's formula of beginning each side with a strong song and ending with one hard to follow. They also kept the idea, first used on Sgt Pepper, of having no gaps between songs. Several of the heavier songs were grouped together on side three. George Harrison's four songs were spread over each side, and three of the songs with animals in the title – Blackbird, Piggies and Rocky Raccoon – were banded together on side two.